Today I will be reviewing my October Glossybox. 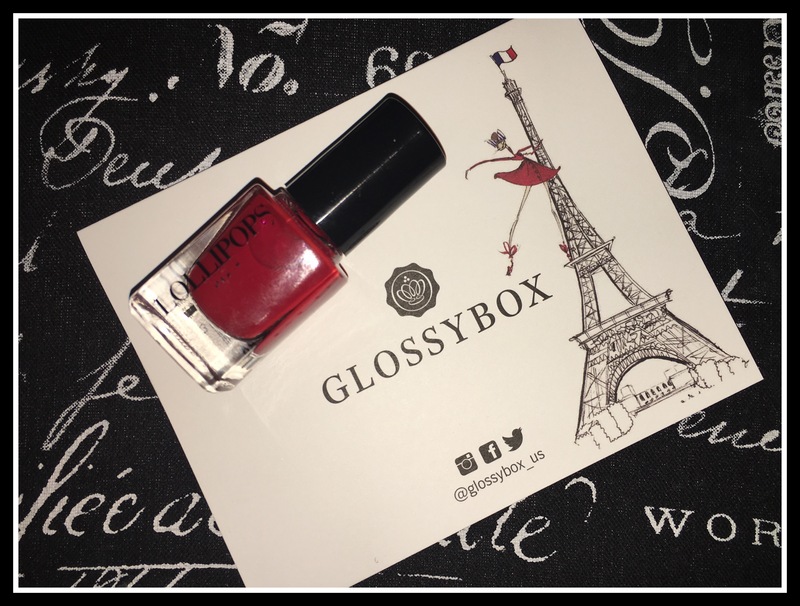 (There are generally a few variations in products) Glossybox is a monthly subscription box that boasts 5 luxury beauty products each month, wrapped up in a lovely pink box. The products are often full sized, if not; they are deluxe sized samples. The cost of the subscription is 21.00 per month with free shipping. Glossybox has a classic monthly box but often does a special edition or collab/partner edition that replaces their regular box. These boxes generally have a unique box with special artwork or are labeled with the partnering brands/company’s logos etc. They are specially curated to fit the theme or contain some of the most popular brands/products spotlighted by said partnering brands/companies. I get really excited for these boxes. 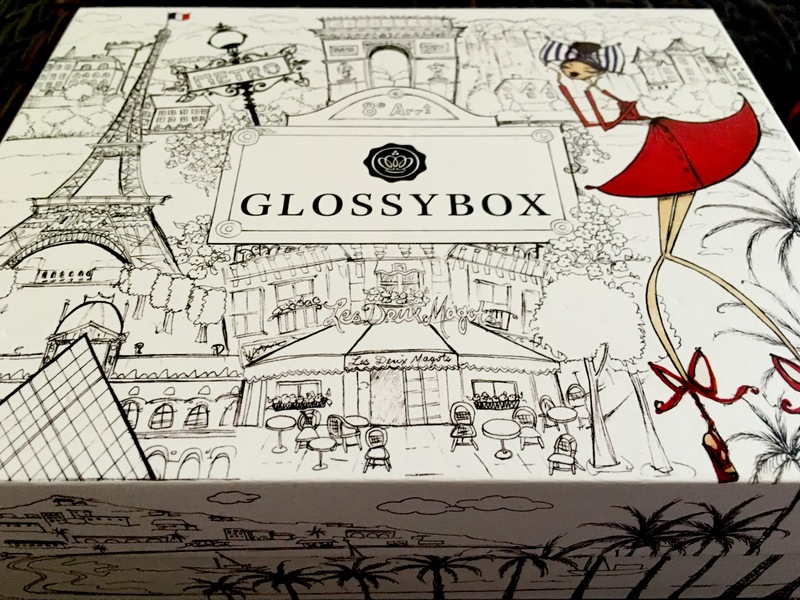 (The October 2015 box I am reviewing is one of these ‘types’ of Glossyboxes.) The special edition boxes alone are often great for display or re-use in some way or another. In addition to these unique monthly versions Glossybox also curates special, limited edition, [additional] one time purchase boxes, ie: Holiday, Mothers day etc. (you can scroll through the past boxes here -just scroll down the linked page a bit to view past boxes.) * If it does not have a month in the title than it is a special edition one time, additional purchase box, other wise it was the box included in your subscription. 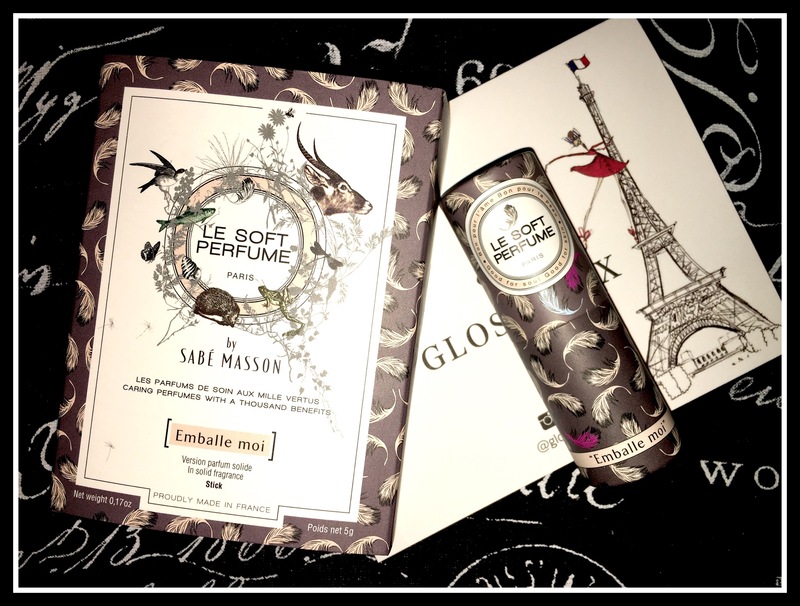 The October box I am reviewing is a specially curated ‘Vive La France’ box featuring artwork by renowned illustrator, Jamie Lee Reardin and features the best of French pharmacy products. This is a soft, solid perfume stick free of alcohol and parabens with soothing and nourishing shea butter. I love this line. The packaging is to die for and there are many different scents to chose from. At a price point of 25.00 per it may lead to a nice new collection! 🙂 I received the scent “Emballe moi” described as a warm musky fragrance with a haze of Bergamot, Mandarin and Pink Peppercorn before mellowing to lingering base of Amber, Patchouli and Almond, via Raspberry, Rose and sweet Lily of the Valley. I really like this scent and though it dies down quite a bit after a short time; the lingering, lighter scent of it seems to last pretty well. It’s not a strong perfume so it would be a good choice for those who are sensitive to such. This balm-in-gel overnight mask contains caffeine, hyaluronic acid and Vitamin B3 is designed to stimulate cell renewal while you sleep. This product has a nice texture, it feels a tad bit sticky on your face but I quickly forgot about it and it was comfortable to sleep while it was on. I applied the product after and on top of my normal evening skin care routine and after two nights of use the little dry patches I deal with were nearly gone and the rest of my skin appeared more hydrated. It has not caused any breakouts thus far. This is a nice product as I have found with all of the Vichy products I’ve tried. 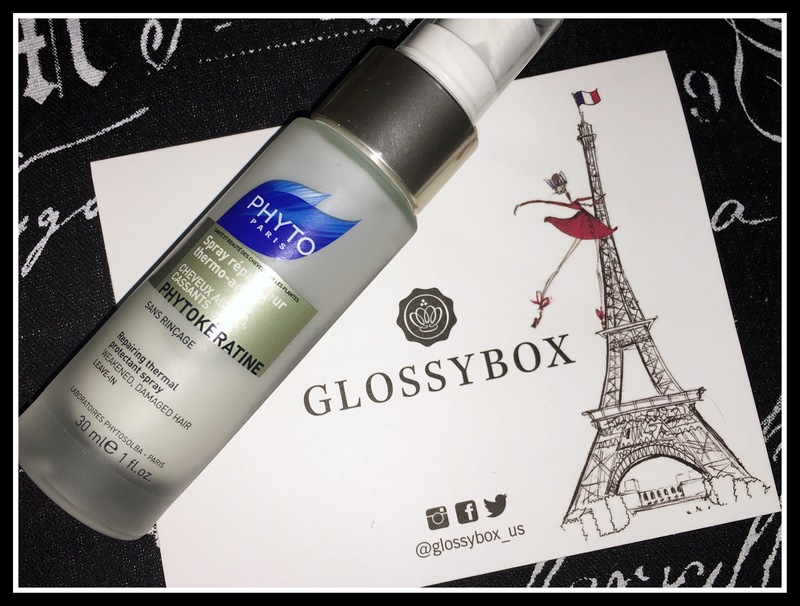 Phyto Phytokératine repairing thermal protectant spray: This is a 1 oz size bottle. ($12.00) The larger size is 5 oz and $32.00. This is a spritz on, leave in heat protection spray designed to detangle and protect hair from breakage and other heat damage. I’ve been using a lot of these types of sprays lately. This adds a little extra conditioning to the oils I already use but helps a lot in the detangling department. I often spray a little of this on my dry hair, prior to styling to detangle and smooth my locks when they are looking dry. *note: this product is a available at Sephora in 2 sizes. The smaller size is listed at 1.7 oz for $12.00 but when you zoom in on the pictured product it is the size included in this box, (1oz) so I believe it to be a typo on Sephora’s part. This is your standard statement red polish. This is described to have a bright ultra-glossy finish with a hardening effect and is ‘shock resistant’ (that’s a knew one for me as far as nail polish descriptions go) It is designed to be a one coat, full coverage polish without the need for a base coat with a brush designed for easy application. I wasn’t too excited about this product as it is a classic red which I nearly never wear yet own many already. However, in my experience this was a pretty nice polish formula. It is a thin polish so it allows you to continuously coat with out smudging or ruining the texture. This is a nice bright red in color and not a deep red as it somewhat appears to be in the above photo. 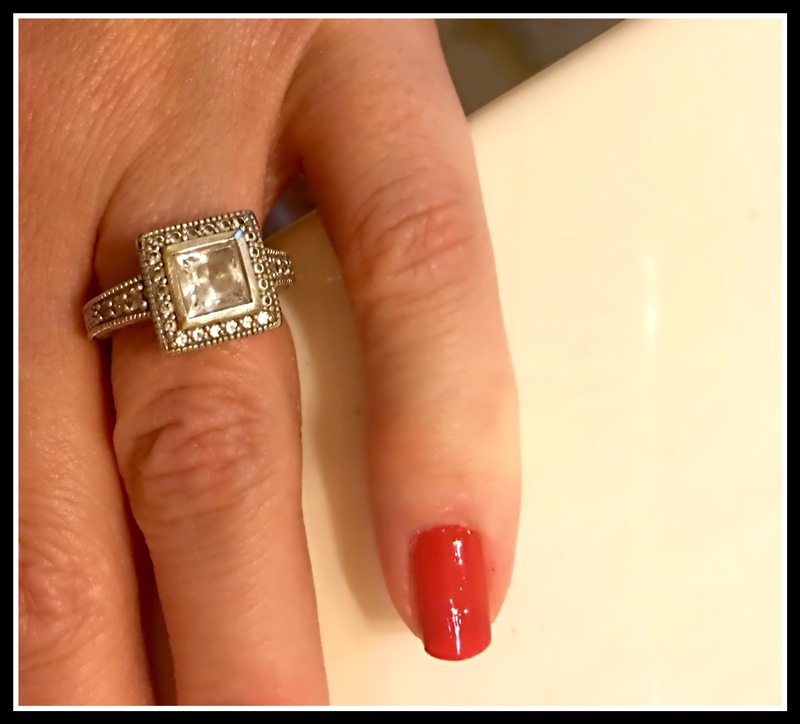 As you can see in the photo below (applied to naked nail, one coat, sans topcoat) it performs pretty well on its own and I can tell the polish contains hardeners of some sort. If giving myself a ‘real’ manicure I would likely use a base coat as my own nail beds are less than smooth and likely add a second coat b/c in the light my nail appears slightly translucent with just one coat on. 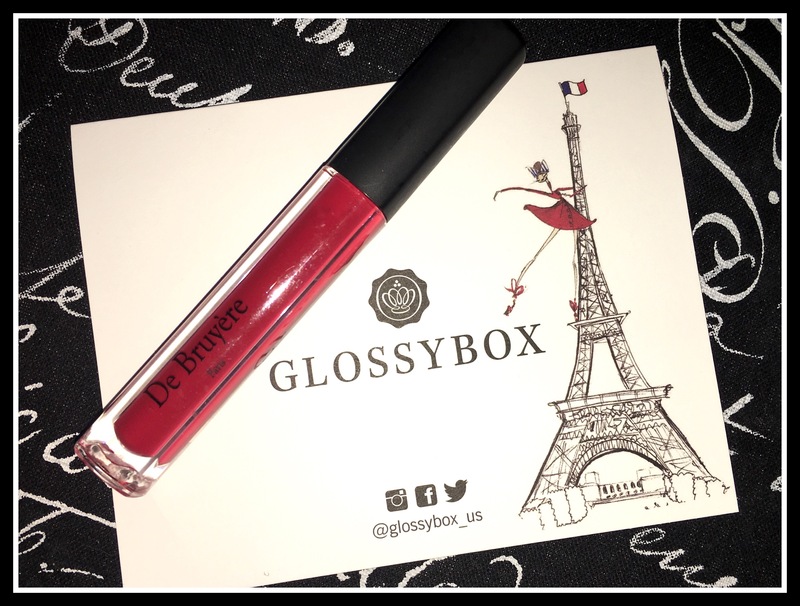 This is described as a bright Parisian-inspired red lipgloss that is highly pigmented and long lasting. Again, I was not too excited about another red lip product. I’ve been receiving so many of them lately and get little use out of them BUT this lipgloss is truly fabulous. The applicator made applying this rich highly pigmented gloss super precise and easy and the product had a great texture and amazing shine. The brightness of the red actually looked pretty good on me and I may even wear this one more often with a simple cat eye and minimal other makeup. If you are a lip junky I highly suggest checking this stuff out and if you love classic reds this is an excellent choice. 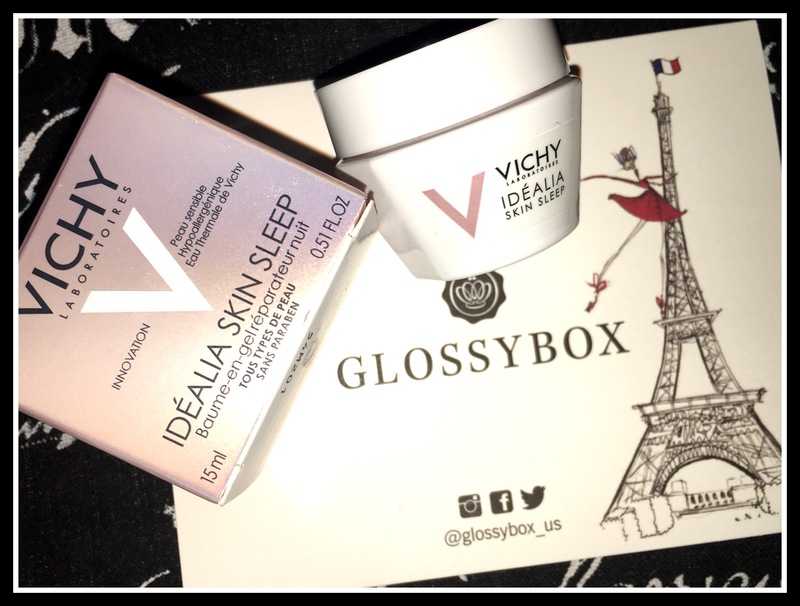 This box is valued at over 65.00 (64.00 not counting the deluxe sized Vichy sleep mask) The box was not quite what I expected it to be but overall I liked it pretty well. The box itself is absolutely darling and I can obviously see where the red products fit in to the curation theme. 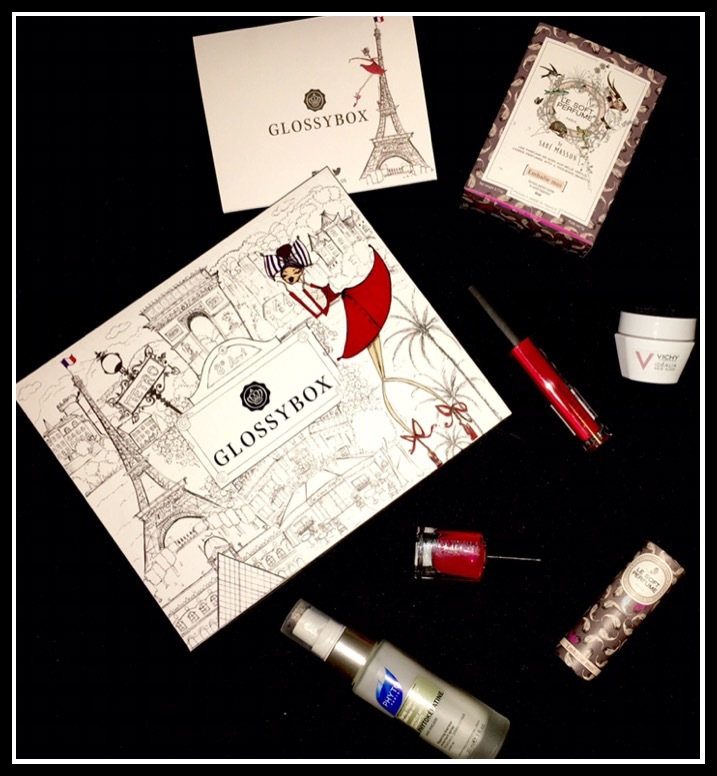 What did you think of this “Vive La France” October Glossybox? 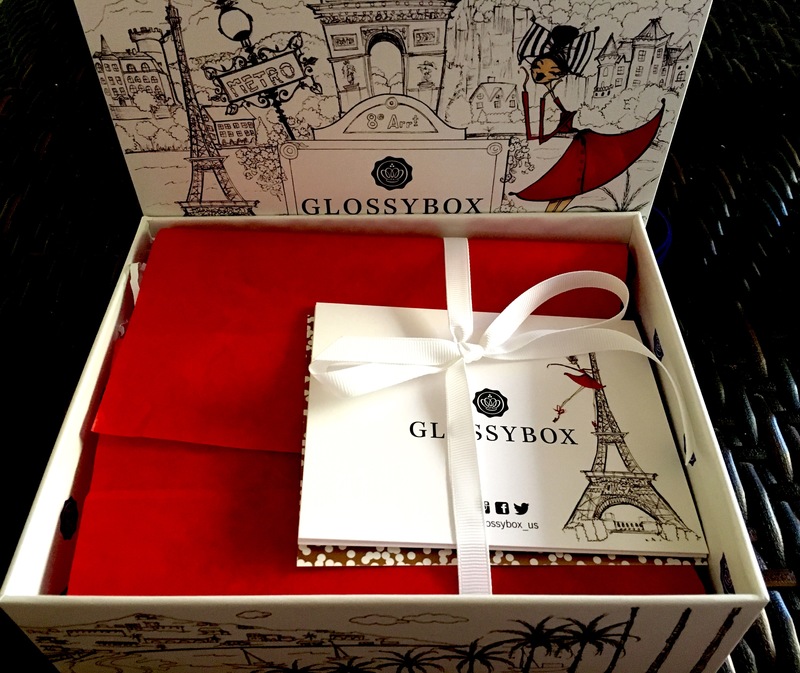 FYI: The Special Edition (one time additional purchase) Holiday Glossybox will go on sale soon and is already available to glossybox subscribers at an early access 25% off price. (Regular price is 40.00 and contains products valued at well over $120.00!) WooHoo!! I LOVE Glossybox’s Holiday themed boxes!! Great review love!! I loved reading it so much!! I love your photos!! That lip color looks amazing on you!! I am obsessed with it and how glossy it is! Thank you so much! This means SO much to me! 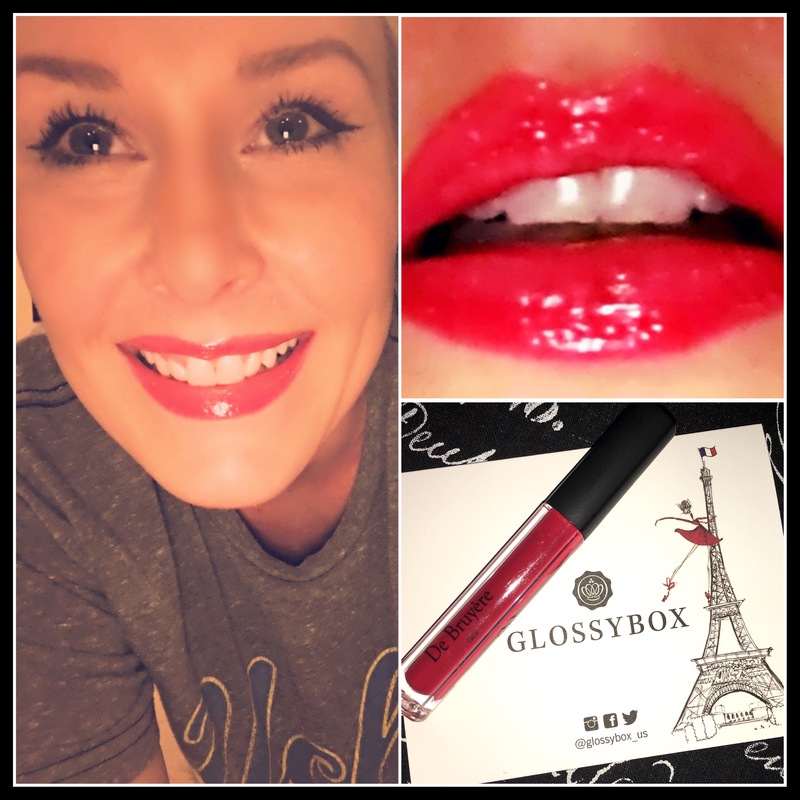 It is a really great lip gloss I was pleasantly surprised and super impressed!!! I can’t wait to try it now!! I loved it when I swatched it, but now I am even more excited haha!